Oulu is a city and municipality of inhabitants in the region of Northern Ostrobothnia, Finland. Kick off your visit on the 15th (Mon): contemplate in the serene atmosphere at Oulu Cathedral, stroll through Ainolan Puisto, then kick back and relax at Nallikari Beach, then browse the eclectic array of goods at Kauppahalli, and finally appreciate the history behind Toripolliisi. For where to stay, ratings, reviews, and other tourist information, read Oulu trip maker . 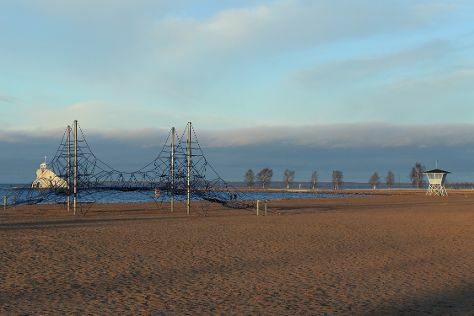 In April, daily temperatures in Oulu can reach 41°F, while at night they dip to 27°F. Wrap up your sightseeing on the 15th (Mon) early enough to travel back home.